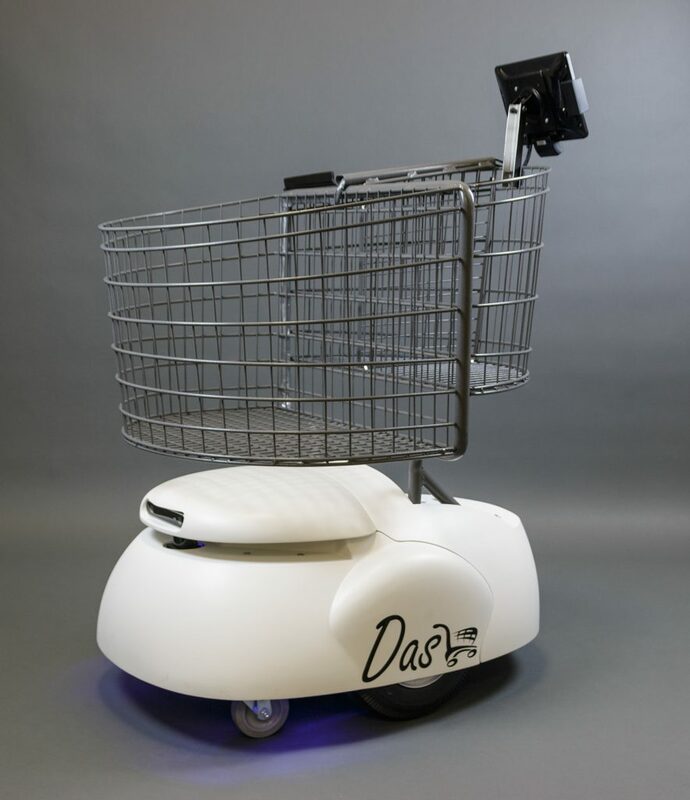 Students working at the McMillon Innovation Studio at the Walton College have developed a prototype app for “Dash,” the robot platform designed by Five Elements Robotics. The app can build a shopping list, search for products, scan items and provide mobile checkout. Five Elements Robotics is a New Jersey-based company dedicated to revolutionizing the human-robot relationship and developing customized software for the control of personal and consumer robots. 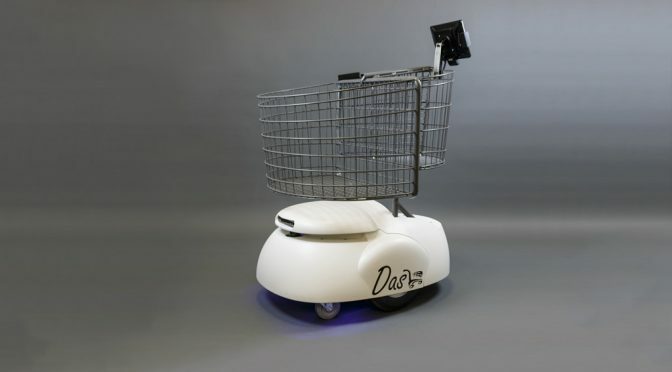 It developed the “Dash” robotic shopping cart to autonomously navigate in settings such as retail stores, grocery stores and shopping malls while helping customers efficiently find every item on their shopping list. The project with the U of A students consisted of two phases during the spring 2018 semester. In phase one, students outlined the app features, storyboarded user interactions and developed the prototype app for the Dash shopping cart. In phase two, the students refined the shopping app and deployed it onboard the Dash robot in both a simulated and live environment. Five Elements Robotics provided a high-level software interface for the robot cart, as well as a prototype platform to integrate with the students’ application. In May 2018, the students and Five Elements Robotics engineers held a final integration and demonstration event. About Five Elements Robotics: Five Elements Robotics is dedicated to revolutionizing the human robot relationship with products such as the Dash Robotic Shopping Cart, Connect Autonomous Robot and the Budgee, VirtualRep, and Nannybot product line which features the patented follow-me technology.